The July 20th conspirators had relatively good prospects for success. Through Stauffenberg and other high-ranking military officers, they had access not only to Hitler but also to the Replacement Army, which provided them with the forces needed to carry out the planned coup d'état. One major drawback, however, was that "Operation Valkyrie" required Stauffenberg to operate in two places at once. He had to carry out the assassination in the “Wolf’s Lair,” the Führer's East Prussian headquarters, and at the same time lead the putsch in Berlin. Additionally, the operation depended on the spontaneous cooperation of a number of high military officials who were not in on the plan. 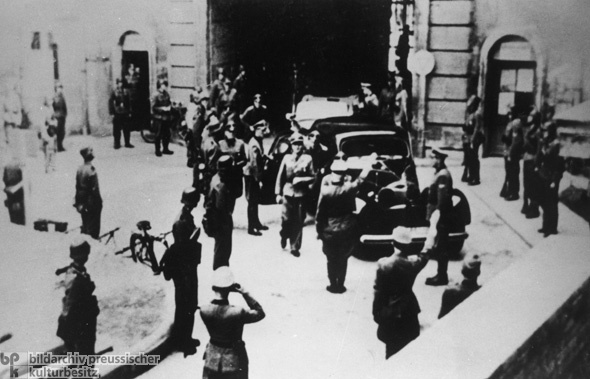 Stauffenberg and his co-conspirators hoped that news of Hitler’s death would prompt those officials to join them in overthrowing the Nazi regime. (How they would have acted had this actually come to pass is up for speculation.) As it turned out, official reports of Hitler's death were not forthcoming (since he had not been killed), and many participants hesitated to take further action. Others abandoned the operation altogether. The Nazi regime quickly initiated effective counter-measures, and with the help of the Wehrmacht, the police, and the SS, rapidly regained control of the situation.